If you’re just beginning to fly drones, you could find yourself overwhelmed by the options available. One of the options you’re likely to come across is the DJI Phantom 3. Although DJI has since released a newer model of the drone, the Phantom 4, the Phantom 3 could still be an excellent choice to learn how to fly. Below, you’ll find everything you need to know about the DJI Phantom 3. What is the DJI Phantom 3 and How Does It Work? 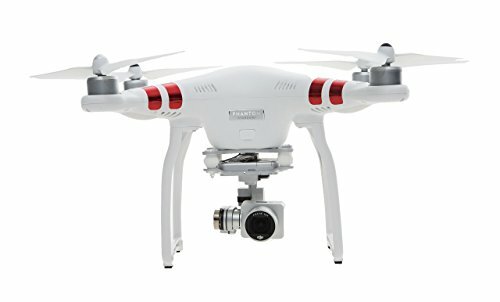 What Makes the DJI Phantom 3 Unique? We’ll spend most of the time in this article reviewing the Phantom 3 Standard, although we may briefly touch on some of the differences or design aspects of the others. For beginners, the Standard model is the one most likely to be of interest. The Phantom 3 allows users to set distance and height limits on their unit so that they can keep their flights within a pre-defined range. Similarly, the Phantom 3 also comes with an auto-hover feature, which affords both beginner and expert photographers the chance to capture amazing footage. When the auto-hover function is activated, the drone will hold its longitude, latitude, and altitude position. Once hovering, the unit waits for further instructions from the user. Lastly, the Phantom 3 allows users to fly for approximately 25 minutes on a single charge. However, one of the most exciting things about this is the Intelligent Flight Battery. The intelligent battery informs users the amount of fly-time they have remaining based on their speed, location, and altitude. When the battery reaches a particular point, the drone will notify you that it’s time to turn around and head back. Users can also turn on a setting that prompts the drone to return automatically when the battery begins to run low. We highly recommend that users turn this feature on when they are first learning to fly the drone, as it is an added safety feature that can help prevent them from losing their device. Over time, as they get more comfortable flying, users can rely upon a manual return. There are a few aspects of the Phantom 3 that help it stand out from other drones. First and foremost is the device’s LED light system. There are four bright lights located on the drone. As you fly, these lights become brighter. This allows the user the ability to see which direction their device is facing and its current status. We believe this is another excellent tool for beginners who are getting their bearings. LED lights are also on the battery unit of the device. When you plug the drone in to charge, the lights inform you of the status of the charge, and how much longer you will need to keep the machine plugged in for a full charge. Again, this is a convenient feature that makes it incredibly easy to manage the drone, especially for beginners. Another one of the most exciting features of the Phantom 3 is the Live GPS. While in flight, your drone will send its location to your mobile device so that you can track your journey on your smartphone. This is again an excellent feature for beginners, as they can see precisely where their drone is and guide it back to home back instantaneously if need be. The reason this is possible is that the Phantom 3 records your GPS-location when it takes off. The drone remembers this in-flight and will return to this location when prompted. However, it’s imperative to note that remain in this location. If you decide to switch positions, your drone will not be able to follow you and return. The Phantom 3 also stands out as unique because of its camera. The cameras can vary from device to device. For example, the 4K model has a better camera than the Standard model. If you’re concerned about the camera and ability to take pictures, you should spend more time looking into the differences between the cameras on the devices. The Standard model’s camera captures video in 2.7K. Users will find that this video is almost three times clearer than the image that you would see on high-definition television. When shooting in this mode, users can capture a maximum of 40 megabytes per second at a rate of 30 frames per second. Users also have the option to shoot in 1080p HD to help clear storage space. The drone comes with a 1/2.3” sensor and a f/2.8 prime lens, or the equivalent of a 20 mm lens. The camera also comes with a 94-degree field of view, providing incredible image quality. The images captured on the Phantom 3 are noticeably different than the images captured by other flying cameras, which tend to produce a distorted picture. Additionally, users will also likely find that the photos they capture are incredibly clear. This is because of the three-axis gimbal built into the drone. DJI relied upon the technology used by Hollywood filmmakers to produce this high-end equipment and attached it to their drone. Users will likely find that the gimbal is more likely to give them a steady shot. Even though the camera may roll or bank during flight, the gimbal is quite responsive, reacting almost instantly. Because the camera responds immediately, the camera remains level. No matter how you choose to fly the drone, there’s a good chance that you’ll still receive quality images when using the Phantom 3. Again, this is an attribute that would benefit beginner drone pilots significantly. Lastly, with the Phantom 3’s controller and smartphone app, it’s easy to manage in-flight controls. The controller is custom-built, making it lightweight and easy to fit into your hands so that you have maximum control over your device at all times. The remote control has a signal strength of approximately a half-mile or ten football fields. However, users should note that the controller range can vary depending on local regulations or environmental conditions. Remember that the drone can detect your GPS setting. If it recognizes that you are in an area with strict flight regulations, it could impact your ability to control the flight. The remote relies upon a 5.8GHz transmission frequency. Pilots can also mount their smartphone to the top of the controller, which they will likely want to do because of the in-flight features offered on the DJI Go App. The Phantom 3 contains an enhanced WiFi range extender, which makes it easier than ever for you to connect your phone and drone. Once connected to the drone’s network, pilots can see a live view of the camera or access advanced controls. The DJI Go App is available on both iOS and Android devices. Once you download the app, it’s easy to connect your drone and begin flying. In addition to a live video stream and advanced camera controls, users can also stream their in-flight footage to YouTube directly, allowing them to share their experience with family and friends. Furthermore, when you capture live footage through the Go App, the stream will save to your mobile device automatically. This allows you to preview the footage and determine if you would like to keep it. If you choose to keep it, you can opt to download a higher-quality version and photos. Before downloading, you can use the DJI Director video editor to alter your clips any way you see fit. The app also allows users to keep track of their in-flight statistics, such as the total distance traveled entire flight time, and a total number of flights taken. You can also manage your DJI account directly in the mobile application. This gives you the ability to not only edit personal information but participate in forums with other pilots and purchase credits for in-flight upgrades. The last cool feature of the DJI Go App is that it contains a flight simulator. For those acclimating themselves to flying a drone, this could prove to be the perfect tool to help get you started. By connecting your phone to your controller, you can “fly” a drone from inside your home at any time, including at night or during poor weather. When browsing the company website, it appears that the Standard model is available for about $$. However, this kit does not come up a remote control or battery pack. The remote control costs about $100, while a battery pack costs about $150. So, users can expect to pay about $650 for the most basic version of the DJI Phantom 3 Standard model. 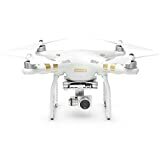 There are also numerous accessories available for purchase on the DJI website. For instance, pilots can buy a set of extra propellors for less than $10. Other accessories available include a propeller guard, a monitor hood for tablets, an HDMI output module, and an intelligent flight battery heater. We encourage you to browse the accessories on the site. When browsing online, it appears as though the drone is potentially available for less on other sites. For example, Amazon offers the quadcopter for about $$. All indications seem to point to the fact that this product includes both a remote control and a battery. So, if they are in search of the best deal, users may want to browse external third-party sites before purchasing from DJI directly. It also appears that DJI offers a limited manufacturer’s warranty on the product. However, they stress on Amazon that the warranty is only valid if you purchase the drone from an authorized reseller. While buying from DJI directly would undoubtedly permit access to a warranty, customers must be careful when buying on Amazon. The DJI website also offers a list of authorized resellers. After looking at customer reviews and ratings online, it appears that the Phantom 3 is viewed favorably by customers. For instance, the product has a 4.2-star Amazon rating with nearly 1,200 customer reviews. Of those who reviewed the product, almost 80 percent gave the product either a four or five-star rating. Users spoke highly of the drone, saying that it was an excellent device for beginner pilots. However, one thing that a few users wanted to stress was the fact that the drone is not an auto-pilot system. Some admitted that based on what they read on the DJI website, they believed the built-in guidance system would essentially fly the drone for them. They quickly discovered that this was not the case and that they still needed to operate most of the time manually. As mentioned earlier, the Phantom 3 is an outdated model from DJI. The company recently released the Phantom 4, which may be tempting to some users. One of the most significant differences between the two is the fact that the Phantom 4 comes with obstacle avoidance. While the Phantom 3 contains two cameras, the Phantom 4 includes three, which can make it easier than ever to steer clear of obstacles. Additionally, the Phantom 4 comes with a sport mode that is not available in Phantom 3 models. Sport mode disables obstacle avoidance and allows you to reach top speeds of approximately 45 miles per hour, which is about ten miles per hour higher than the Phantom 3’s max speed. In our opinion, only those with considerable drone experience should consider the Phantom 4. If you are serious about wanting to learn to fly a drone, we believe that the Phantom 3 is an excellent choice to learn to do so. If you plan to use a drone recreationally, perhaps in the backyard with your children, you could potentially find a cheaper model online. But if you want access to a drone that can take quality footage and fly for extended periods, you should strongly consider the DJI Phantom 3.